James 1:2 – Count it all joy my brothers, when you face trials of various kinds, for you know that the testing of your faith produces steadfastness and let steadfastness have it’s full effect, that you may become mature and complete, lacking in nothing. F3 WELCOME & DISCLAIMER: We did that. Post warm a rama we moseyed to the famed Tom Lee Park Obelisk (which is currently missing because it got blown over a ton of times). There, in the…shadow…of the Pyramid we commenced to ruin ourselves. Pyramid 1 was constructed by doing 1 rep of each exercise, then 2, 3, 2 and then back to 1, then moseying to the next location. Finished by bear crawling to the top of Beale Street Landing Mountain. An abbreviated Mary…more of a Ma – 3 rds of 20 flutter kicks, 20 American Hammers and then a stair sprint mosey back to startex. Ephesians 5 – everything that is good and true and right glows – would people say that of you? This is an awesome location and can’t wait for it to be an AO. THE SCENE: “The Ruins,” aka Spaghetti Warehouse/Tom Lee Park. Muggy, 78 degrees, loads of dew and water sprinklers. Know your limits and do the best you can, all exercises can be modified and are only suggestions. 20x SSH, 20 Imperial Walkers, Arm Circles 10 front 10 back, 10 Merkins in cadence, 10 Squats in cadence. Mosey down BIG STAIRS to Tom Lee Monument. Flutter kick for six. With partner, must get 100 box jumps and 50 derkins. Flutter for six. Run fast to pull up bar tower. Run fast to monkey bar tower. Conveyor belt: “derkin walk” along retaining wall, then do monkey bars. Some expressed 5th grade monkey bar memories more fondly than others. Run fast to bottom of Beale street landing “hill.” Flutter kick for six. Partner carry to top (switch as often as needed) Wheelbarrow down with partner (switch as often as needed). Find the concrete arch in the splashpad area. “derkin walk conveyor belt,” run to other end. Mosey back to startex for Mary (see below). Fast up the steps. ab/core exercises: HW Side crunch x10 each side (at base of steps). It’s good to be reminded that God heals brokenness that we can’t heal. He will fix everything in his timing. THE RUINS ruined many a man this morning. Apparently having your head below your body is tougher than YHC expected. It was very hard. The pull up station, monkey bars, hills, stairs, etc lend themselves to at least 9,876,543,219 more variations of workouts we could do there. 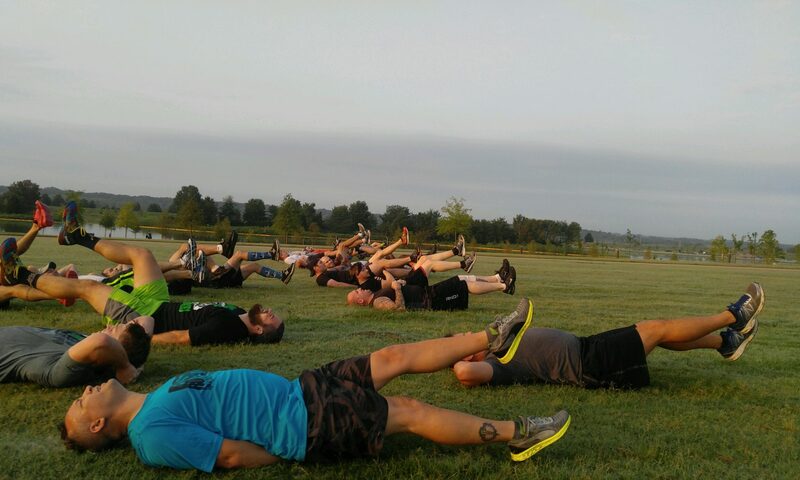 Sir Mix A Lot is Q’ing the next Ruins workout on 7/19…..
Cloudy and 64 degrees Fahrenheit next to the river. I mosey’d one mile from work down to the park just before noon with FNG. When we arrived at the park we saw crews setting up stages and fences for Memphis in May. This was a problem because the parking lot was closed and I didn’t bring a phone. At noon, no other PAX had showed. I figured that the next likely place they may have parked would have been down at Martyr’s Park, so I left the FNG and ran that way. Fortunately, the other PAX were waiting for me a mile in the opposite direction. When I didn’t find them, I ran back to meet FNG at Beale St Landing. Now I figured FNG and I were going to be alone. 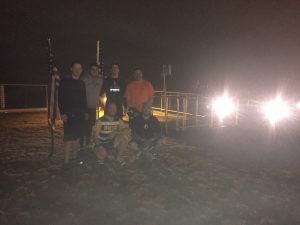 FNG suggested that we sprint up the Landing hill. I thought this was a bad idea, but I did it anyway. Upon reaching the summit, I developed an early onset case of acute mountain sickness because I neglected to stop and camp for a day in the middle of the climb. I felt like this was a good place to conclude the day’s exercising. Shortly thereafter, I was surprised/relieved/wheezing to see three PAX ascending the other side of the hill. We jumped in with a disclaimer and began warm-o-rama at the peak. As we were just getting started, “guy in the orange shirt” passed by, was invited to join, and did so. (I’m sure there’s an F3 word for that, but I haven’t learned it yet). I believe some effort was made to get more information from him, but I’m not aware of how that went due to the high altitude pulmonary edema I was suffering. For now, we’ll just assume he’s the ghost of one of the steamboat passengers that didn’t make it to Tom Lee’s skiff. Mosey to bottom of hill. Partnered up, one partner did exercise while the other ran up and down the hill. When “guy in the orange shirt” realized that he was supposed to do squats after running up the hill, he decided he’d rather resume drowning in the river and disappeared. He put in really good work though. Hopefully he’ll be back. I felt like the using the hill like this was going to be terrible, but that it was the right thing to do. It was worse than I expected. However, I know that if was working out on my own I never would have done it more than once. I did it a lot more than that today, and I’m thankful to be a part of a group that pushed me to do it. Woodpecker, Phat Pat, Mama’s Boy, Bruce, Air Bud (FNG), ? Rambled about that some in relation to my winding career path. My group at work was eliminated last week and I was assigned a new role. I’m happy to still have a job, but struggle to make sense of things. I’ve had several jobs that haven’t play out at all as expected and have felt unrewarding for lots of hard work. I wish I could read verse 6 and know that because I believe in Him, He will provide a straight, easy path ahead with no obstacles. I don’t think that’s how it works though. When I look back I can see how God has used different jobs and people there to teach me a lot that I needed to learn. So for today I can know that He is working in me in this. Whatever the path looks like along the way, the destination is Jesus, and He knows the best way there. Q played “Proud Mary” by Creedence Clearwater Revival. PAX performed LBCs until “Rolling” was heard. Once “Rolling” was heard, PAX switched to Gas Pumps until “Rolling” ended. Then PAX switched to Flutter Kicks and performed Flutter Kicks until next “Rolling”. Then PAX switched back to Gas Pumps until “Rolling” ended. Then PAX switched to LBCs. Rinsed and repeated until song ended. COT / BOM: QIC shared something that has been on his mind lately. Expectation and approval. Everyone has their own expectations of how things should go. How their kids should behave, how clean their house should be, how their friends view them, how they view Christ, etc. 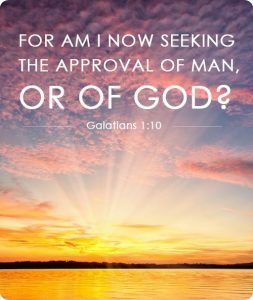 These things stem from wanting approval. Wanting to be confirmed. QIC shared his expectation of perfectionism in everything that he does and explained that sometimes we expect too much of ourselves in order to please others or to fit a false reality. Instead, we should do our best with what we have, the time we have, the people we have around us and trust in the Lord. MOLESKIN: PAX tested a potential AO (Tom Lee Park) and enjoyed a dense gloom on the Mississippi River. Lesson learned: Battle ropes are heavy when saturated.